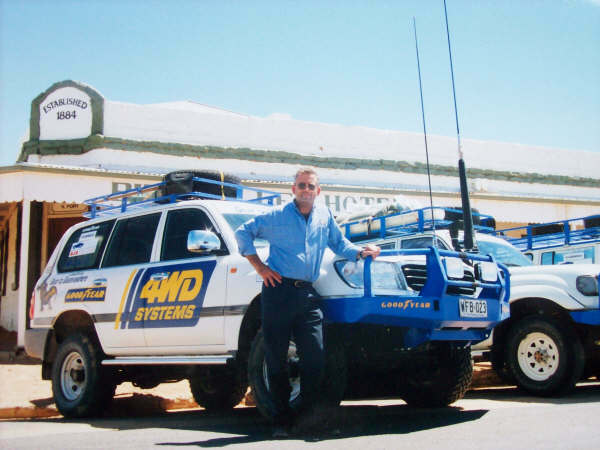 "Gear to Goannawhere" best describes the range of 4WD Systems Accessories and Services - We Research, We Design, We Manufacture and We Sell Worldwide. Products that "go-anywhere" is based on the Perentie, our motif, the largest Australian Goanna Lizard, growing up to 3m in length.It is the predatory ruler of the Australian outback.South Australia's remote regions are one of the harshest environments known to mankind and this has been the proving ground for our range of products and services - heavily laden vehicles on remote travel over dusty corrugated tracks, desert sandhill regions, scorching heat, freezing nights - Desert proven. Like the Perentie, our range of Accessories and Services have evolved with time and are tough, resilient andremain excellent value for money.